Create an interactive mailer to be displayed on a tablet at a launch event for Seventeen's new products. 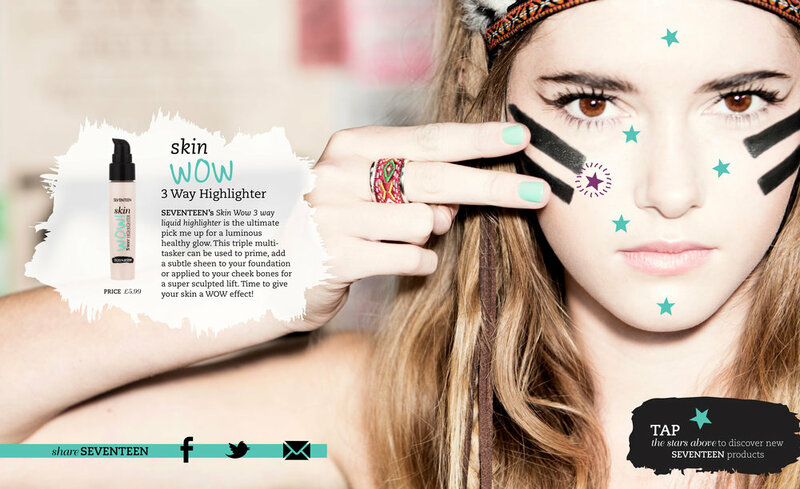 This digital mailer was created using the highly unique, youthful style to create excitement around the launch of new Boots Seventeen products. The home page of the mailer introduces the products and a look book style video. Consecutive pages keep a minimal, easy to navigate style. The user clicks on a star on the girl's face and the product designed for that part of the face will pop up explaining how to complete the look.